West Indies 8-289 (Darren Sammy 63*, Lendl Simmons 62, Kieran Powell 59, Ravichandran Ashwin 2-37) beat India 7-288 (Virat Kohli 99, MS Dhoni 51*, Ravi Rampaul 4-60) by two wickets. The Blue Shirts managed 288 runs after losing seven wickets in 50 overs and the Caribbeans smashed 289 with two wickets remaining and three balls to spare. 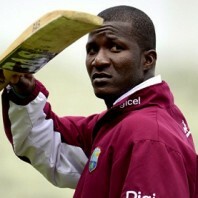 Darren Sammy (West Indies) was declared ‘Player of the match’ for his match winning unbeaten knock of 63 off 45 mere balls. The second One Day International of the three match series was played on Sunday, November 24, 2013, at Y.S. Rajasekhara Reddy ACA-VDCA Cricket Stadium, Visakhapatnam. Earlier, Dwayne Bravo, the skipper of the Windies, won the match and offered the batting to the hosts. The openers were gone for 69 as Yuvraj Singh and Virat Kohli joined at the wickets. They consolidated the innings while sending the ball out of the fence regularly and the latter dispatched his 28th ODI fifty. The partnership was dislodged at 138 when Yuvraj Singh lost his wicket for 28 and was replaced by Suresh Raina. Raina was caught behind by Dwayne Bravo off Ravi Rampaul for 23 and Virat Kohli missed his ton by a single. MS Dhoni played an offensive knock of 51 and secured his end as the Men in Blue scored 7-288. Ravi Rampaul was the star performer with four wickets whereas Jason Holder, Veerasammy Permaul and Darren Sammy shared one wicket each. The Windies went down with a couple of wickets at 23 as Darren Bravo got together with Kieran Powell. The batsmen opted to attack, hit 12 fours in the coming overs and Bravo surrendered for 50. The consolidation process continued and Powell became the next one to grasp another half century to his credit. 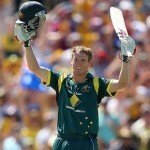 He was caught behind by Dhoni off Ravichandran Ashwin for 59 and the visitors were struggling at 5-185 in 34.4 overs. 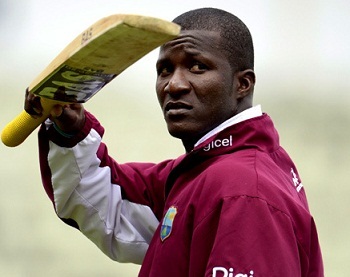 Darren Sammy associated with Lendl Simmons who was sailing smoothly at the other end. The latter went past his fifty with a six while Sammy was punishing the bowlers at will. Simmons was declared leg before wicket off Ravindra Jadeja for 62 and Sammy powered his 6th ODI fifty in the process. Darren Sammy hit the winning run on the third delivery of the last over and secured his end for 63 off just 45 balls with 4 towering sixes and even fours. The Caribbeans hammered 289 runs for the loss of eight wickets and reached the target. Bhuvneshwar Kumar, Mohammed Shami and Ravichandran Ashwin claimed two wickets each whereas Mohit Mishra and Ravindra Jadeja got one each. West Indies triumphed in the interesting encounter with a margin of two wickets and squared the series at 1-1.
will be famous, due to iits quality contents.